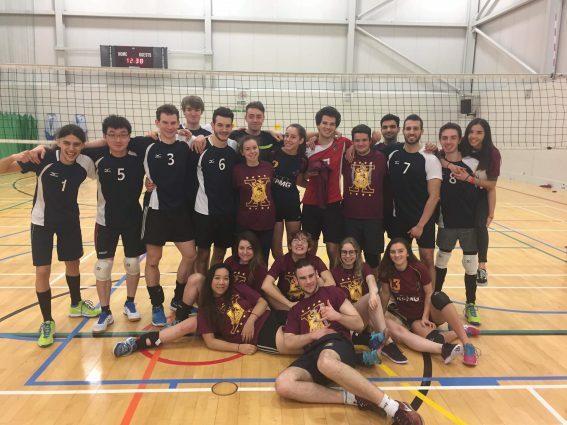 We recently met up with the following members of the Volleyball Club (SUVC) to find out more about what they get up to: Matt, club President, (joined Men’s 1st Team, joined 2 years ago), Phoebe, Higher Education Volleyball Officer, (joined Women’s 1st Team, joined 2 years ago), Christina (Women’s 1st Team, joined in her second semester 2 years ago), Coco (Women’s 1st Team, joined since the start of this academic year), Owen (Men’s 1st Team, joined at the start of the academic year) and Brendan (joined 2nd Team last year, advanced to Men’s 1st Team this year). 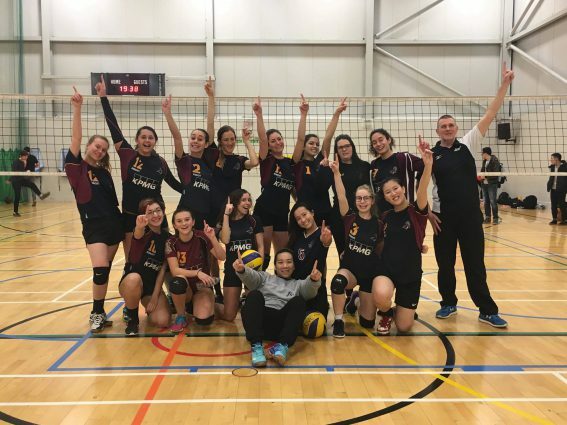 They explained that the club represents the University in both regional and national competitions and were ranked 12th at the Student Cup, which is one of the biggest indoor student Volleyball competitions in the UK! 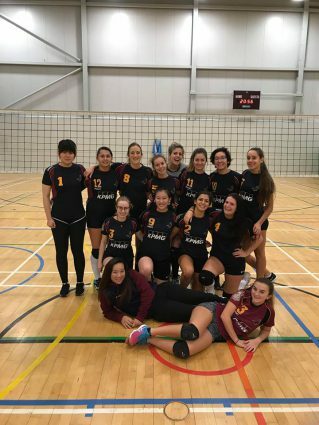 Phoebe said that the Women’s 1st Team has been doing particularly well this year: “they have managed to win almost every BUCS league matches” she also added that there is a good chance that they might advance to the premier league this year. As well as the weekly training held in the Jubilee sports hall (including an early 07:00 start!) the club host a mixed range of exciting socials, including nights out, and more recently a cheese and wine evening. 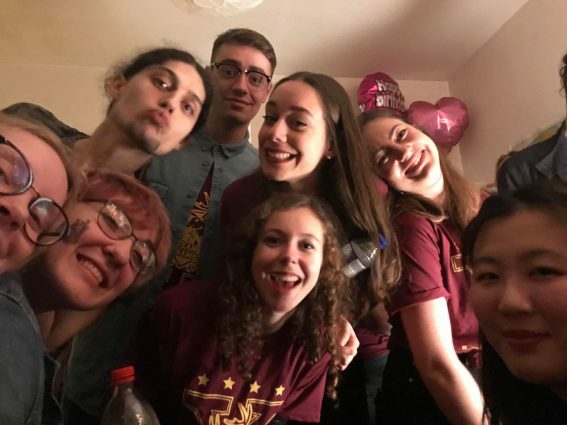 Christina told us that the girls in the club are particularly close, and regularly socialise together outside of training and the more formally organised socials. It sounds like exciting times are ahead for SUVC! Find out more about the club and contact them on their Facebook page here.